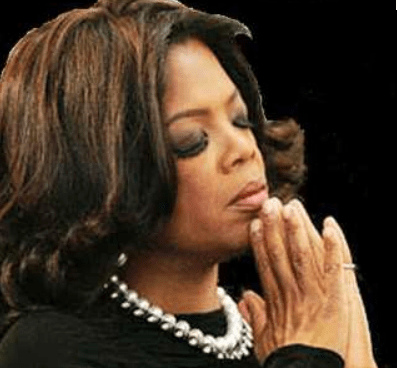 OPRAH To Feature Inspirational Religious Bigots Rick Warren and Joel Osteen on "Lifeclass"
Oprah Winfrey who has always said that she is a staunch supporter of LGBT rights and equality has just taped one of her newest Lifeclass program, where viewers “get the lessons we can all use to lead our best possible lives,” featuring the wisdom of two anti-gay pastors Joel Osteen and Rick Warren. Osteen, a mega-church pastor in Houston, claims he doesn’t hate gays, only views them as sinful. and endorses “ex gay” therapy and California pastor Warren is proudly against marriage equality. He also campaigned for Prop. 8 and declared support for Chick-fil-A and its anti-gay policies. What the hell is Oprah thinking? To use and promote these two religious bigots does not just endorse some of the views which she might find favorable it legitimizes all of their views. If Oprah really cared she would know better. You can’t straddle the fence on bigotry and civil rights to appease your audience and get ratings. Hosting Osteen and Warren is both hurtful and offensive to the LGBT community . One would think that Oprah of all people would know that. Disgusting pig. All three of them. This is beyond appalling and absolutely disgusting. I believe Ms. Winfrey seems to be either showing her true colors or her cluelessness. Shameful.